A review of United of Omaha Health Insurance Company review leads to the United of Omaha Life Insurance Company. 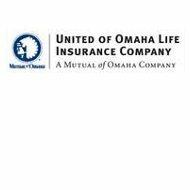 First created in 1909 under the name Mutual Benefit Health and Accident Association, United of Omaha Life Insurance (aka United of Omaha) its parent company has been in the industry for over a century. United of Omaha is a subsidiary of Mutual of Omaha, which together combined the best of health and life insurance in the 1920s. To look at health insurance quotes you can type in your zip code to compare different companies. Offering a large amount of both individual and group products, United of Omaha has insurance for a variety of needs. With two large companies offering a variety of insurance, the combined assets are $12,879,237,328, with a net surplus of $1,187,272,238 and capital of $9,000,000. Created in 1909, the company had some challenges before it was officially incorporated. Needing 250 applications before it was licensed by the state, member receipts were issued until they became licensed. It took 10 months, but eventually policyholders were given a certificate of membership. In the 1920s, United of Omaha and Mutual of Omaha combined their specialties in order to have a better all around company. During the Great Depression, Mutual of Omaha and United of Omaha expanded and took over several other companies. In 1939, the company was licensed in all 48 states and the two U.S. territories at that time. A.M. Best gave a rating of A+ to United of Omaha. A+ is considered “Superior” in comparison to other companies. Their financial strength outlook was also given a positive rating of “Stable,” which is also the best rating given by A.M. Best. A.M. Best gave a long-term credit rating of “aa-” to United of Omaha. This is considered a positive rating meaning “Very Strong.” The outlook as far as credit rating was given a score of “Stable.” These ratings are recent with an effective date of November 22, 2010. Another positive rating given to United of Omaha was by Better Business Bureau (BBB). BBB gave United of Omaha an “A+” rating, which is their highest rating offered. United of Omaha has been accredited by BBB since February of 1940. With the best rating possible by BBB, positive ratings from A.M. Best, Moody’s Investors Service and Standard & Poor’s, United of Omaha is an excellent company to look at when researching health insurance rates. To receive more information on United of Omaha and Mutual of Omaha Company’s health insurance rates type in your zip code and compare. By doing, this you can find the best company that meets both your financial needs and goals. I need to retract on my last review. I finally found the number of the insurance company and they explained everything to me. So I am giving them a chance as the gentleman was very nice and knowledgeable. Just wanted to correct myself.